*Recommendation: Select Firefox Web Browser For Best Results. Podcasts Begin On Page Two. Part two of a two part conversation with Woodstock Public Library Director Nick Weber. Part one of a two part conversation with Woodstock Public Library Director Nick Weber. Jon and Robin Voils of Celebrate Libraries® interview Director Jeff Dawson of Lester Public Library for a New Ways To Dream® podcast. Director Dawson talks about library management, economic transition/transformation in the Two Rivers economy, the Public Library System Redesign Project, and Two Rivers artist Lester Bentley in this second of two recordings. Jon and Robin Voils of Celebrate Libraries® interview Director Jeff Dawson of Lester Public Library for a New Ways To Dream® podcast. Director Dawson talks about his library career, library programming, and the history of Two Rivers in this first of two recordings. A conversation with Manitowoc Public Library Director Kristin Stoeger. Part 2. A conversation with Manitowoc Public Library Director Kristin Stoeger. Part 1. Director Stoeger talks about her library career, the Manitowoc library building’s upcoming 20th anniversary, library programming and much more. 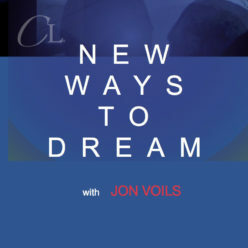 Mead Public Library Director Garrett Erickson is featured in a New Ways To Dream podcast with Jon and Robin Voils of Celebrate Libraries®. Subjects include the Centennial Building Project, the Weill Charitable Fund Clocktower, the Mead’s commitment to exhibiting artwork and its efforts with area partners to revitalize downtown Sheboygan. Jon and Robin Voils of Celebrate Libraries® interview artist Sharron Quasius and architect Erik Jensen about their designs for the Weill Charitable Fund Clocktower (1997) located on an outdoor terrace at Mead Public Library in Sheboygan, WI. Quasius and Jensen share photos and recall installing sixteen 4’x4′ decorative brass panels on the structure — as well as their careers before and since completing the project. This is a New Ways To Dream podcast.